"Regular check ups are a breeze at Yardley PA Dental Care." "Yardley PA Dental Care, treating Families, Children and Adults alike." "Hey Pennsylvania Find Your Best Smile at Yardley PA Dental Care!" "Don't suffer from Dental Pain, Find relief at Yardley PA Dental Care!" "Is Invisalign an option for you? Come see at Yardley PA Dental Care." "Pennsylvania dental patients, Come see your best and brightest smile at Yardley PA Dental Care!" "Conveniently located in Yardley Pennsylvania, Regular Check Ups at Yardley Dental Care keep your teeth feeling great!" "Smile Bright! Many Options for brightening your smile including whitening at Yardley PA Dental Care." "Brush Up Your Dental Care In Yardley! Yardley Dental Care for all your check ups!" Dr Kenwood recognizes that all the skill and artistry in the world still cannot replace the human touch. Dr. Kenwood and Yardley Dental Care understands the fear many feel when going to the dentist. Yardley Dental Care in Yardley PA is a beautiful cosmetic dentistry office is conveniently located in Yardley PA. Dr. Kenwood is a highly skilled Pennsylvania family and cosmetic dentist. Our PA dentist office has a simple philosophy, a dentist that listens to his patient's needs and desires and then uses that information to craft our patient's dream smile. Dr. Kenwood has successfully accomplished this goal throughout his career, correcting a variety of Pennsylvania patients dental imperfections into beautiful smiles. Giving that dream smile to a patient, results not only in lovely teeth but happy, confident people. To Dr. Kenwood, good Pennsylvania dentistry is not just technique but artistry. Yardley PA Dental Care does a wide variety of cosmetic and restorative dental procedures that require a great attention to detail to both look natural and function correctly. 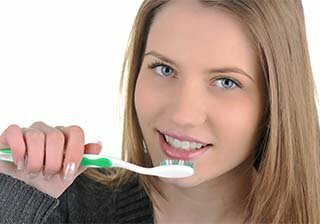 Our dental practice, we draw on a wide variety of sources to perfect our technique as a top rated cosmetic dentist. Dental techniques range from using the most current up to date state-of-the-art equipment. Our PA dentist office and dental practice combines our knowledge of dentistry along with assessing your needs and dental harmony by using Da Vinci's principle of Divine Proportion. This comprehensive approach provides skilled yet gorgeous results that consistently exceed the expectations of his PA cosmetic dentistry patients. Dr. Kenwood recognizes that all the skill and artistry in the world still cannot replace the human touch. Dr. Kenwood and Yardley Dental Care understands the fear many feel when going to the dentist. He is well known throughout Yardley Pennsylvania and surrounding PA area as being the most humorous, gentle, and caring dentist with utmost commitments to the comfort and needs of his patients. He takes great pride in making each dentist office visit a low-stress, confidence-building process with a great smile as the end result. Yardley Care dental practice has a friendly staff and soothing environment. You will not be rushed as we discuss any procedure or treatment options, and you are encouraged to be part of the team by asking any questions you have. Throughout your visits at Yardley Dental Care, you will be treated with an unparalleled degree of respect and attentiveness. Contact Dr. Jared Kenwood at Yardley Dental Care, located in Yardley, PA, 19067 or give us a call for a free consultation at (215) 493-1616. The size, shape, and alignment of certain teeth.